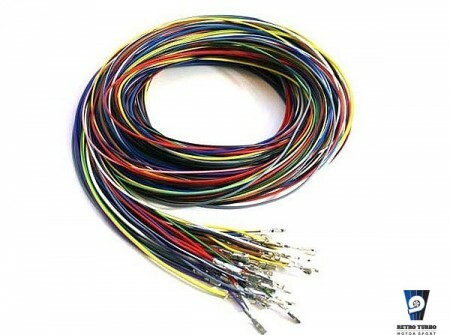 2.5 meters long set of wires with crimped terminals for use with EMU BLACK engine management system. By purchasing this product you agree to our T&C found here. Get in touch for your requirements through contact form. We deliver worldwide – ask for a quote before purchase! SKU: emuBLACKwires. Category: Connectors, cables and brackets, Engine Management Systems.